Oscar de la Renta Spring Summer 2015 collection at New York Fashion Week – vogue.com. The recent passing of legendary designer Oscar de la Renta aged 82 marked the end of a dramatic fashion era of romantic elegance for some of the most beautiful women in America, and the world. Many referred to him as the “the sultan of chic” as he dressed many of the First Ladies including Jacqueline Kennedy, Nancy Reagan, Hillary Clinton and Laura Bush. More recently, he created the wedding dress for George Clooney’s bride, Amal Alamuddin for their Venice wedding. Born in the Dominica Republic, he began his training with Cristobal Balenciaga in Spain and then worked at Lanvin in France. Afterwards, he started his fashion label in New York in 1965 where he introduced rich colour, cinched waists and voluminous skirts with magnificent detailing to create flowing and romantic evening wear. During the late 60’s and early 70’s, fashion designers such as Oscar de la Renta, Roy Halston and Bill Bass defined America style. It was an important moment in fashion history as these American designers had now become style icons for celebrities on the red carpet. For spring summer 2015, his collection is filled with soft pink flowers, full of colour and ultra feminine. A personal trademark when it came to dressing his clientele. One of America’s greatest fashion icons has left us, and he will be greatly missed. 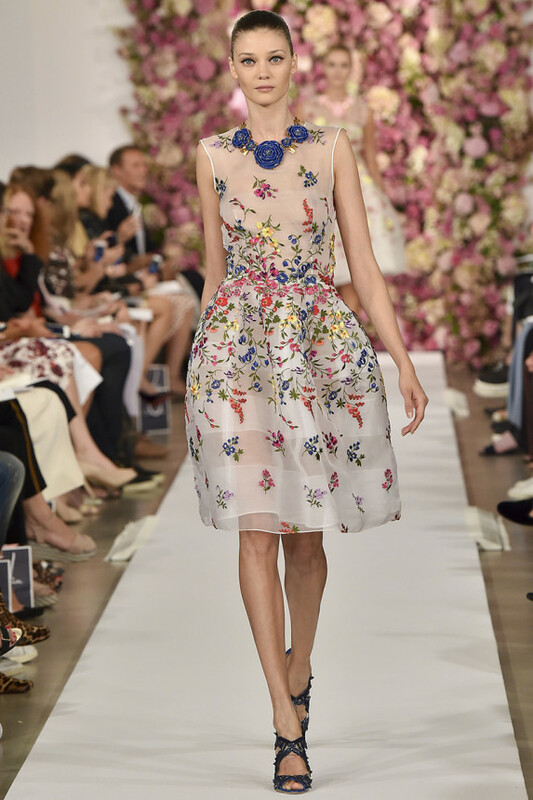 Always elegant and feminine, Oscar de la Renta Spring Summer 2015 – fashionising.com. 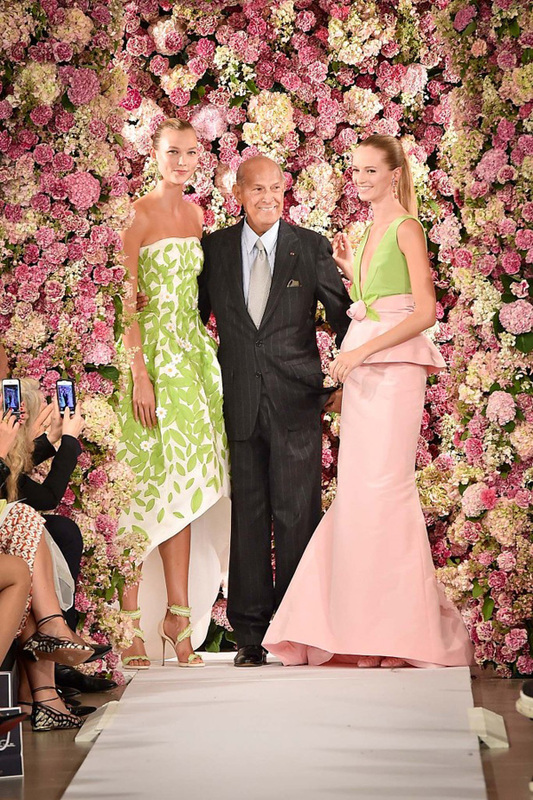 Oscar de la Renta presents his spring summer 2015 collection – style.com.